Galerie Swanström exhibits an array of contemporary art including meticulously engineered, interactive, kinetic steel sculpture; conceptual photography; and paintings that express themes ranging from meditative clarity inspired by the natural environment, to bold ‘statement-art’ demonstrating on-point narratives that define contemporary global issues, engaging the viewer. The gallery often pushes the boundaries of contemporary art, aiming to bridge the gap between the urban landscape and the white box environment. Gallery director, Beth Swanström’s passion for bringing emerging artists work to the mainstream motivated her to create ArtScout®, an online arts media venue, widening the lens into the world of art and design. In addition, Ms. Swanström serves as a director on the board of trustees for Operation Design, a not for profit organization which organizes and partners highly accomplished and recognized architects and designers with public school students to create motivating spaces for their schools while inspiring students with a meaningful hands-on professional experience. Recognized by Boston Common Magazine as one of the city’s top gallery owners the gallery has achieved accolades in SCULPTURE Magazine, ORIGIN Magazine, ARTINFO, The New Jersey Star Ledger, The Boston Globe, Boston Magazine, Architectural Digest Magazine, Art New England, The Harvard Crimson Review, and others. Galerie Swanström is a boutique space tucked away on the entire third floor of an inviting loft building in the heart of SoHo in New York City. Along with its welcoming warmth, eclectic exhibits and contemporary design, its founder Beth Swanström can't help but lend the gallery an energetic vibe which stems from her enthusiasm for the artists she's presenting. This combination allows for the perfect venue to comfortably explore new work by some of today’s most accomplished street artists such as Joe Iurato and Billi Kid. After pulling yourself away from the captivating street art, you’ll most likely find yourself engaged with one of Anne Lilly’s precise and unpredictable interactive kinetic sculptures; mesmerized by the colorful organized chaos of a Marc Leavitt painting - or entranced by the deeply poetic and conceptual Wendy Richmond photography. Savvy collectors, designers, architects and budding art enthusiasts alike are embracing the well-healed caliber art and privé aesthetic which creates this unique gallery. 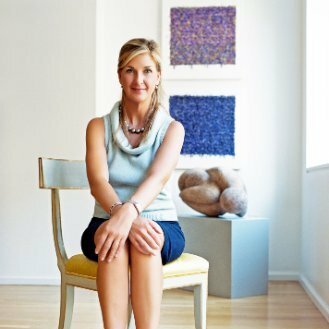 Having achieved accolades in Boston as a gallerist and art consultant, Ms. Swanström brings with her to this city her specialty as an 'art interiors' expert. Meticulously scouting the perfect art to complete any given space, her projects have included providing art for a renovated Commonwealth Avenue historically land-marked mansion in Boston's Back Bay; an impressive corporate space on one of the very top floors of the iconic John Hancock Building; and scouting the London country side for reclaimed and rustic works to outfit a 20,000 square foot ski chalet. “Beth and I have worked together on two projects for Operation Design, a not for profit organization to promote design education in public schools. Beth has been a tremendous asset to the projects. She has made them visible through her inspired, informative and creative video production that documented the process, and besides her technical skills her relentless enthusiasm and generosity have been an inspiration to all of us.” Emanuela Frattini Magnusson, EMF Design and Architecture; Treasurer, Operation Design.